As for the pool surface we're going with Aqua White for the main color and Stone Pearl as a contrast on the sundeck, benches and spa. We also had the excavation crew back out today to bring and compact more backfill for our hill. It's almost there, it looks like they need one more truck of dirt to finish near the deep end. 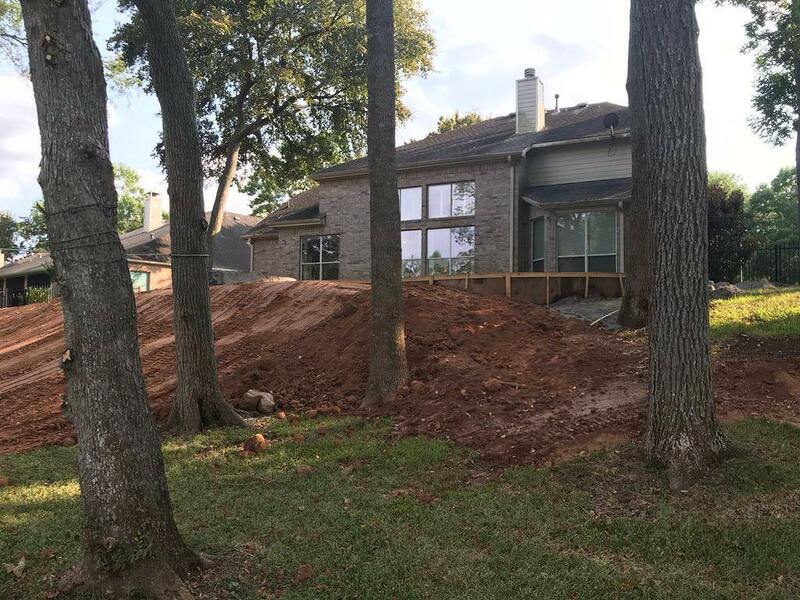 Since my last post we had 4 trees removed, which I HATED to do, I loved the shade and privacy of those trees. If you scroll up you can see our yard before we got started. Anyway I fully intend to plant a tree in our yard for each one we took out. I've also ordered several of the items recommended on the TFP website, skimmer saver, whale brush, the electronic stirrer, etc. Oh my! I LOVE those colors together! That is going to look rich! Good picks! Now lets talk about the grout and mortar. The mortar for the 1x1 glass tiles will be very important as it can change the look of the tile. 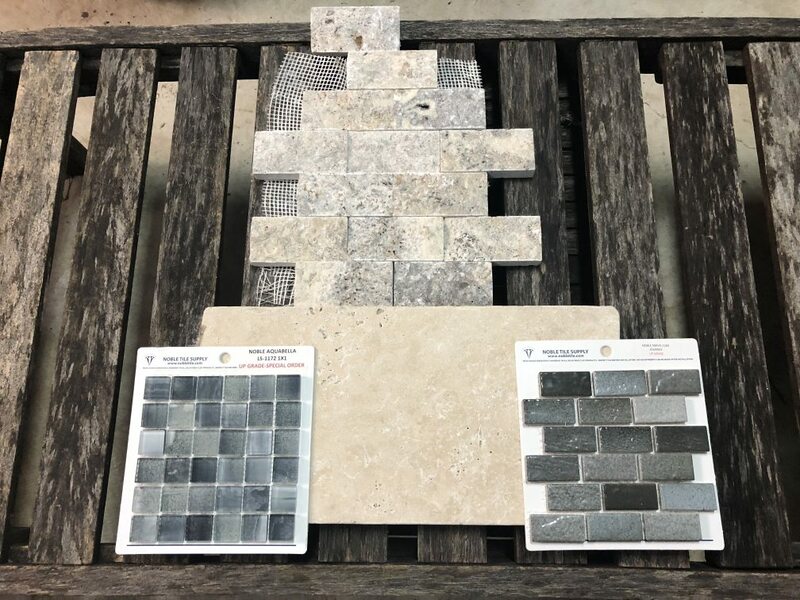 Get some paint chips in white, off white, light gray and lay the tile on top of them outside by the pool area and see which one you like the best. For the grout they should have grout sticks that shows the different colors of grout. I am thinking a light or medium gray would work best but see what you think and let us know. 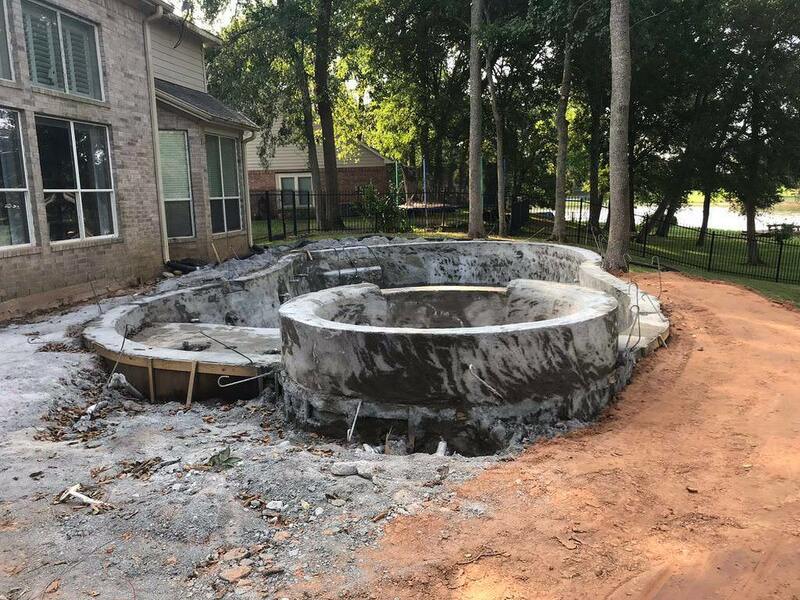 What are you going to put on that area at the back of the pool after the dirt work is done? That’s a really nice combination you’ve put together there! Nice look. I like the grey and silver combination. I agree with Kim....rich looking. Love the colours you have chosen! It’s going to look very crisp and modern. Well crud, the PB says that Silver Travertine is an upgrade from the light/tan Travertines to the tune of around $1300. Back to the drawing board! So we decided on an alternate coping, and moved our 'silver' into the stone. Here's where we landed, we're still pretty happy with this and no upgrade fee for coping. We also had him delete the booster pump and cleaner from our deal. Now to research the robots. Those stone colors are exactly the same as mine! I am happy with my choice. I hope you guys like them. For the robot, I just got Maytronics S300 from Marina Pool in Colorado. That's where many TFP members buy robot cleaners. Nice, well I like what I see in your pics so that works! And keeping the great minds think alike theme going I just called and also ordered an S300 from Marina. They said it would do everything I needed it to. And it cost exactly what I was credited for dropping the booster pump and Polaris cleaner. Was it an upgrade to have two colors on the pool surface? My PB includes it as standard on his pools but I have no doubt I'm paying for it. That is a win for sure! Those are very pretty colors that will look well together! Then you got the robot ordered=SWEET! Of course you will have to tell us what you end up naming it! Thanks Kim! Marina doesn't mess around, ordered the S300 yesterday, delivers tomorrow. We'll definitely name it, we named our indoor robot vacuum. 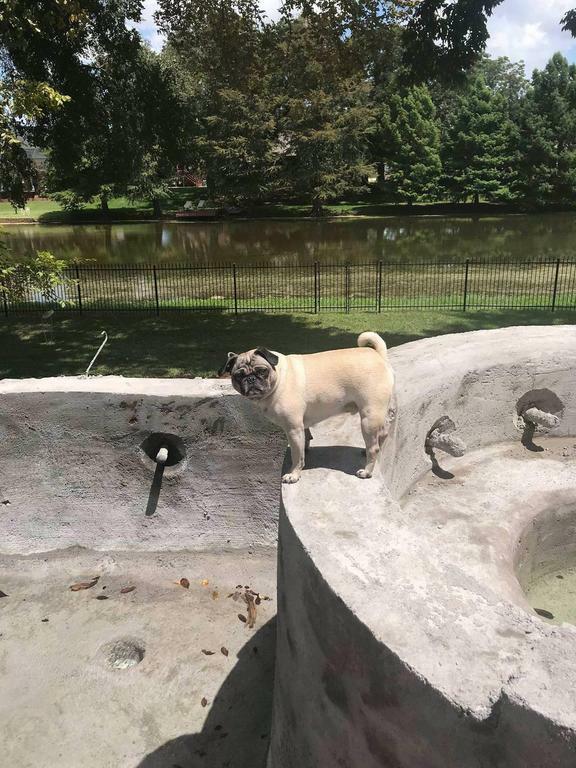 I got an update from the PB saying they were going to start blocking and tiling the pool Tuesday, then doing stonework and coping for about 10 days. Are there any typical things to watch out for during this step? I'm trying to be at the house for the major work so I'll probably hang around Tuesday when they get started but after that I'll just be checking in the evenings. 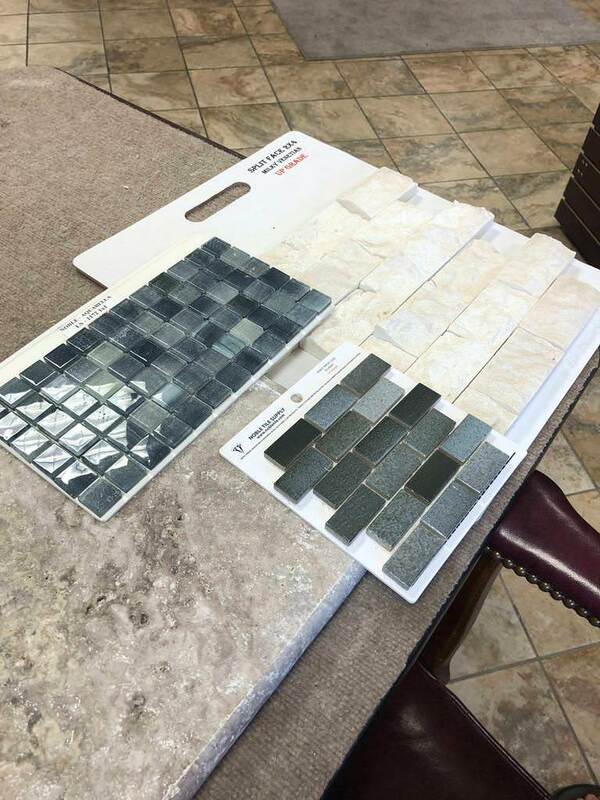 What tile did you pick? (too lazy to look back to see if you have posted it already LOL). 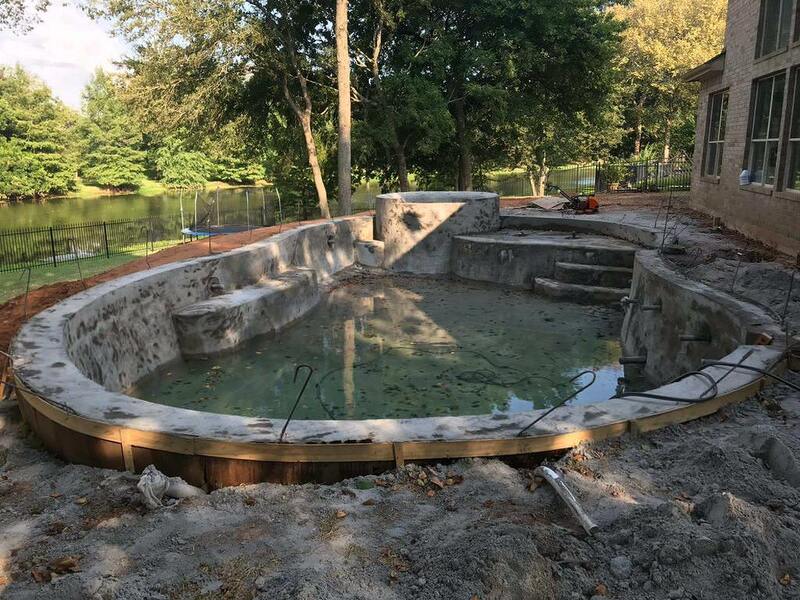 Any new pictures of the pool? Your design is very similar to ours and I am curious to see how it is coming along. I'll have some new pics soon, they've been real slow going with all this constant rain we've been getting. They've built the back wall and are doing the water line tile today. I don’t think this rain is ever going to stop! Thanks! We need the rain but of course it’s right in the middle of building. Who makes the pebble you are using? I hear you on the rain, I've been telling my friends when they dug the pool they dug up a burial ground of rain dancers so now we're cursed. The guys came out yesterday and did 90% of the water line tile, they covered it all in plastic so it won't make much of a picture right now. They're supposed to come back if the skies clear this afternoon.